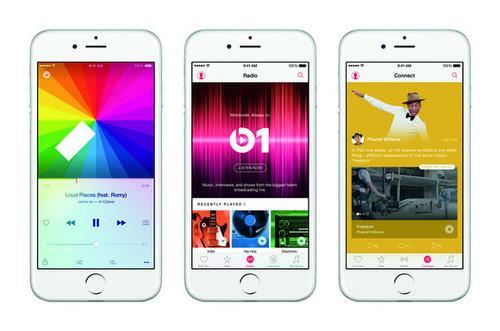 Apple gives you three free months to try out Apple Music. After that, you have to pay $10 per month for a single user membership or $15 per month for a family membership. If you like Apple Music, you don't need to do anything after the trial; your credit card on file with your iTunes account will be charged automatically. What do you do if you don't want an Apple Music membership? You can't end the free trial, but you can prevent Apple Music from automatically charging you once the trial is over. Here's how to do it in on the iPhone and iPad. Launch Apple Music. See the user icon in the upper left, the circle with a silhouette of a person? Tap it. The Account page should open. Near the bottom, tap View Apple ID. You'll have to enter your Apple ID password. You should be on Account Settings. Scroll down until you get to the Subscriptions section. Tap the Manage button below it. Here you'll see a list of your subscriptions. Tap the one that says Your Membership Apple Music Membership. This section provides info about your Apple Music subscription. You'll see when your free trial ends, as well as info about auto-renewal. To stop Apple Music from renewing after the trial ends, switch off Automatic Renewal. You can always go back to this and turn on auto renewal if you decide later that you want an Apple Music membership.